Microsoft now plans to refresh its Dynamics 365 enterprise planning and customer relationship management software twice each year, on essentially the same schedule as Windows and the Office 365 suite. 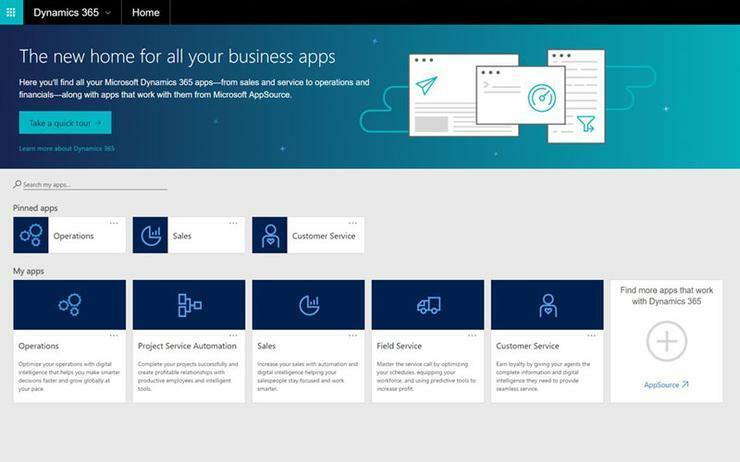 "We are transforming how we do service updates for Dynamics 365 (online)," wrote Mo Osborne, COO of business applications engineering at Microsoft, via a post to a company blog. "We will deliver two major releases per year - April and October - offering new capabilities and functionality." The new upgrade tempo is identical to Windows 10 and Office 365, which also refresh twice annually. Even the time of year is similar: The last two upgrades to Windows 10, for instance, were in April 2018 and October 2017, although according to Microsoft's official calendar, the upgrades were slated for March and September. Office 365 sports the same March-September schedule. Even Windows Server is on a spring-fall rhythm. "This is not a big surprise," observed Andrew Snodgrass, an analyst with Directions on Microsoft, in an email. "They've been 'kind of' doing this for a few years, although without much consistency." Osborne's announcement affects only the cloud-hosted version of Dynamics 365. On-premises Dynamics 365 - Microsoft dubs it "Local Business Data" - does not receive upgrades on nearly as frequent a schedule as does Online, which is hosted on Microsoft's own Azure platform. "Regular performance and reliability improvement updates" will be released "throughout the year," Osborne added, during the six-month intervals between the feature upgrades. Osborne also made several promises in her announcement, saying that the updates would be "backward compatible so your apps and customisations will continue to work post update," implying that third-party applications would always run after a Dynamics 365 upgrade. Elsewhere, however, Osborne also said that the upgrades would be rolled out in stages using the Windows 10 model, which initially targets end points that are more likely to successfully process the upgrade, uses telemetry to gauge progress, then makes changes or tweaks as necessary. Unlike Windows 10 - and to some extent Office 365 as well - Dynamics has no general preview period during which Microsoft seeds early code to a large group of testers before rolling out a major upgrade. However, Microsoft has been conducting a private - meaning by invitation only - preview program for Dynamics 365's customer engagement apps; the preview will be expanded at some point, but Microsoft did not specify when. More importantly, the preview will reach testers "one or more weeks before (the changes) are applied in production environments," possibly making for a very short jump on a release. To reflect the lack of a beta, new features that Microsoft thinks impart "major, disruptive changes" to the user experience will be disabled by default. And testing can be done in what Microsoft describes as a "sandbox," which is nothing more than a "non-production instance" of the software "isolated from production," according to the firm's definition. The company's IT staff can use the sandbox instance - a free copy of Dynamics 365 - to test changes embedded in the upgrade. Microsoft also said it would tell customers what is in the next Dynamics 365 upgrade in advance by issuing release notes long before the debut. "Release notes will be published months prior to each major update to help you plan for the new capabilities," Osborne said. Release notes for the April 2018 update - Microsoft tapped it as the first in its twice-annual cadence - were published concurrent with the upgrade. Notes for the October upgrade, however, will be posted July 23, Microsoft said. Not everyone thought that Microsoft's many assurances would calm customers' concerns over the fast-paced release schedule for Dynamics 365. "The interesting thing is (the new schedule) still doesn't provide much consistency for what will be delivered, just that there will be release dates twice a year," said Directions on Microsoft's Snodgrass. "If something isn't ready, then it will be dropped from the release, like they've done in past releases. So, customers still won't have a solid roadmap of what is coming out next." An example, Snodgrass pointed out, was the release notes for April's update. "It's gone through a revision each of the last four months, adding and removing items from the roadmap for each product," he said. "Exactly how is a customer supposed to plan for the future if that roadmap changes every month and details are only available in a release document?"